Nicholas Kristof often writes about the plight of women and children in impoverished areas of the world. He and his wife Sheryl WuDunn co-authored Half the Sky: Turning Oppression into Opportunity for Women World Wide which chronicles the lives of extraordinary women struggling in Africa and Asia. But on March 9, 2014 he turned his attention to a problem that plagues the lives of women closer to home. In a column titled To Stop the Abuse She Grabbed a Gun he draws attention to the fact that “violence in the home is quietly killing American women”. And he challenges us to talk about it. The statistics are shocking. 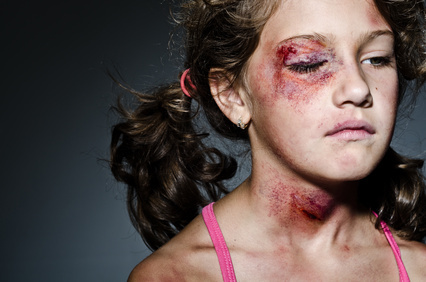 Domestic violence claims a woman’s life every six hours. Women between the ages of 15-44 are at greatest risk. They are more likely to die or be maimed as a result of domestic violence than as a consequence of war, cancer, malaria, and traffic accidents combined. And the damage doesn’t stop there. Children who witness domestic violence are far more likely than their peers to have difficulty achieving age appropriate developmental milestones. They often have limited problem solving skills, poor self-regulation, and struggle to achieve academic and social mastery. Exposure to domestic violence is one of several adverse childhood experiences (ACEs) that have been shown to contribute to premature death, as well as risk factors for many of the most common causes of death in the United States. It’s time to expose this silent killer. The lives of countless women and children are at stake. Participate in a local anti-violence event. Teach children how to solve problems without violence. Teach teens about healthy relationships. Boycott media that demeans or makes fun of women and girls.